My internet connection (Airtel 4G that boasts of 15 Mbps speed) is awfully intermittent and slow today, so I closed all the other open windows to shamelessly flirt with the pictures below. How did I end up at these properties? You know those annoying ads listing the most expensive things on earth from lobster to glares; one such list boasted of the seven most expensive homes in India. No prizes for guessing who made it to the top – yea, that floor-jutting Antilla of Mr. Ambani. With all due respect, it doesn’t matter how much billions went into the making of this 27-floor Mumbai mansion, the exteriors are an eyesore, at least in the pictures. So, I went on a mission to look around for what some elegant properties in the country looked like. 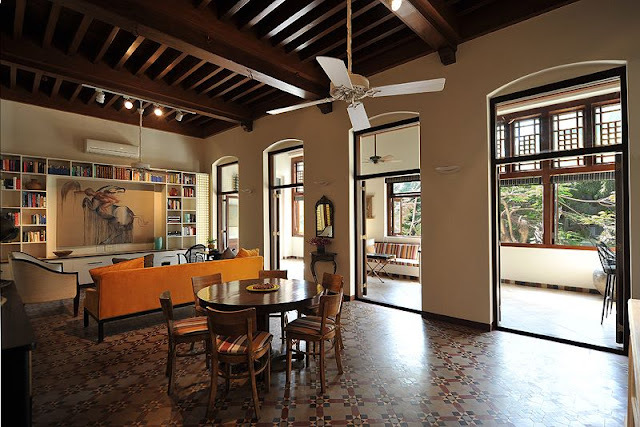 How much do you reckon would a 3-bedroom age-old apartment on a tree-lined street in historic Colaba with 16 foot high 100 year old Burma teak ceilings would cost? 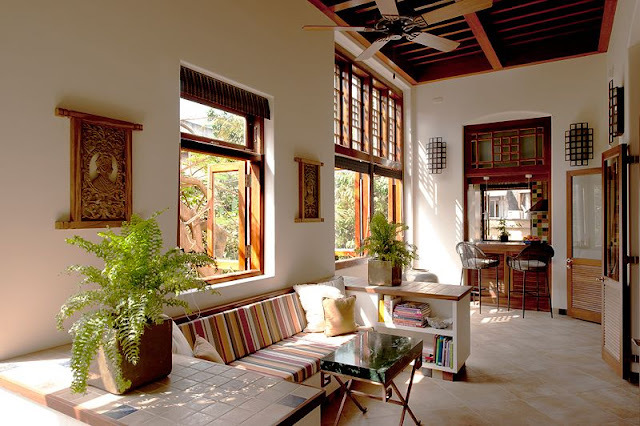 Throw in the old world charm of living spaces opening to verandahs, lots of natural light, open kitchen, stained glass windows and majestic Burma teak doors. 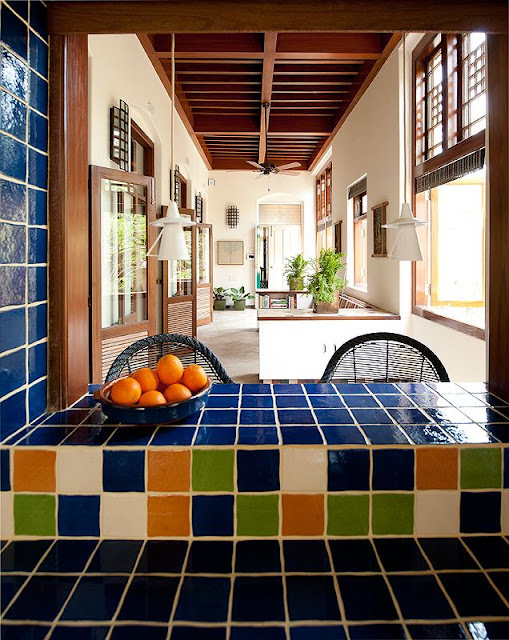 The flat has been restored while retaining the original structure including the mosaic, raised wooden ceiling and teak doors. The living room opening up to the verandah. 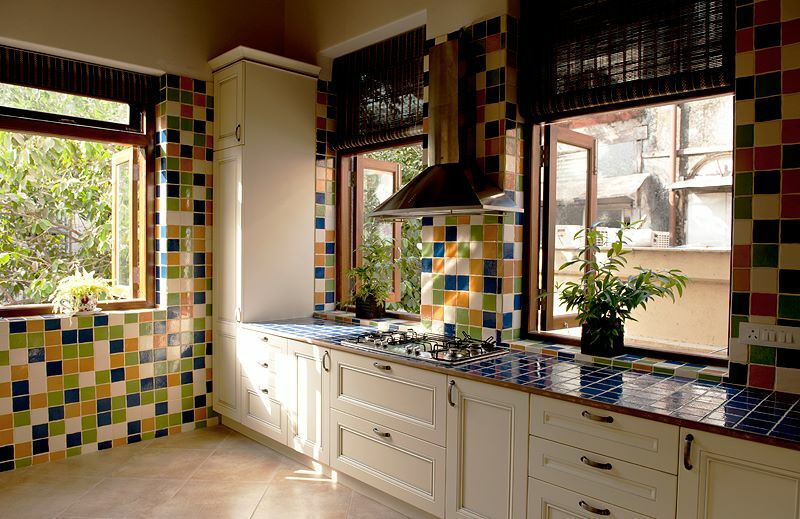 Love the colorful tile backsplash. This kitchen spells celebration o me..who wouldn’t want to cook in such an airy, well lit open kitchen? 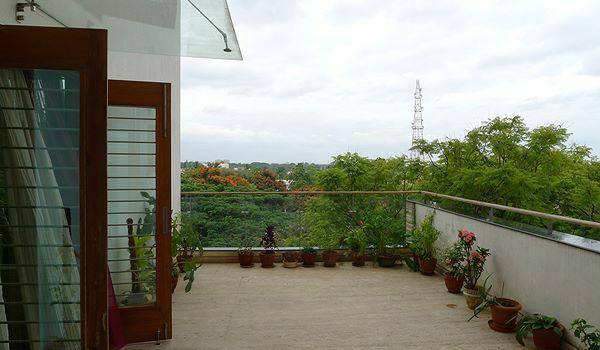 Or, how does a 4,500 sq.ft apartment overlooking a green park in a concrete jungle like Bangalore sound? And, oh yes, what if it were in the middle of the city? 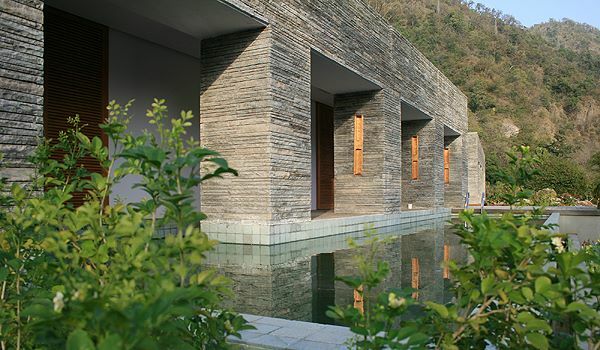 If you are not so much of a city person, how about a contemporary villa on the banks of ganges? How much do you reckon would these properties be worth? Naturally, the asking price for most are on request. Thank goodness, there is no asking price for gaping.